Lee Yo-Won is now cast in upcoming MBC drama series “Night Light.” Currently, Jin Goo and Uee are weighing offers to play lead roles in the drama series. For drama series “Night Light,” Lee Yo-Won will play Seo Yi-Kyung. Her character is scripted as a cold-blooded businesswoman with wealth and determination. “Night Light” first airs this November in South Korea. Bae Doo-Na offered lead role in new OCN drama series “The Voice.” Currently, Bae Doo-Na is “positively considering” the offer. The drama series will be set at a 112 call center. The 112 call centers in South Korea handle crime related emergency phone calls. If Bae Doo-Na takes the offer she will play main character Kang Kwon-Joo. Kang Kwon-Joo graduated with top marks at a police university and works as a call team leader. “The Voice” will premiere later this year or early next year in South Korea. Actress Kim Tae-Ri is cast in movie “Little Forest” directed by Yim Soonrye. “Little Forest” is based on the manga series of the same name by Daisuke Igarashi which was previously adapted into 2 part film “Little Forest: Summer & Autumn” and “Little Forest: Winter & Spring” starring Ai Hashimoto. Premise for the film has Kim Tae-Ri playing main character Hye-Won. She leaves the big city and moves back to her hometown in the countryside. There, she reconnects with her environment. “Little Forest” will be released sometime next year in South Korea. Tao Tsuchiya, Ryota Katayose (‘GENERATIONS from EXILE TRIBE’) and Yudai Chiba are all cast in live-action film “Ani ni Aisaresugite Komattemasu” (literally “I Have Difficulty to Be Loved Too Much by Older Brother”). 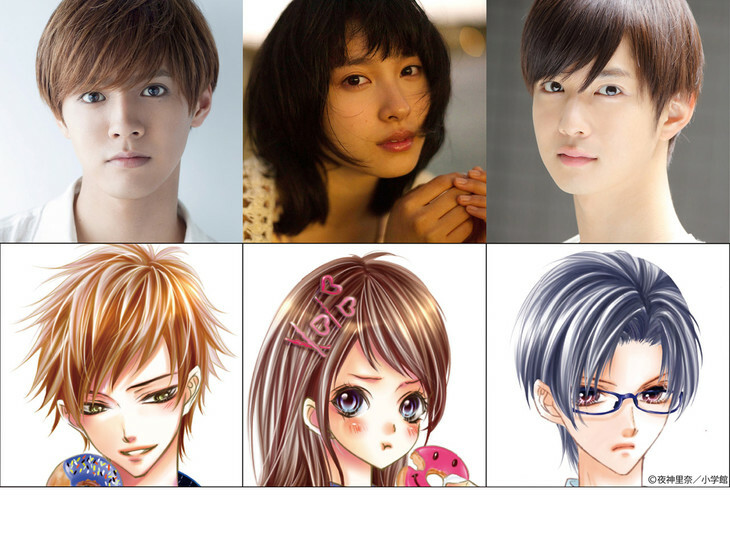 Movie is based on manga series of same name by Rina Yagami and the movie will be directed by Hayato Kawai. Story for “Ani ni Ai Saresugite Komattemasu” follows the relationship between teenage brother and sisters played by Tao Tsuchiya & Ryota Katayose. The older brother likes his sister a lot, but also holds a secret about them. The secret is that they are not blood related. Meanwhile, the first love (Yudai Chiba) of the sister comes into the picture. “Ani ni Ai Saresugite Komattemasu” will be released sometime next summer in Japan. Main trailer for movie “Oke Rojin!” starring Anne Watanabe. 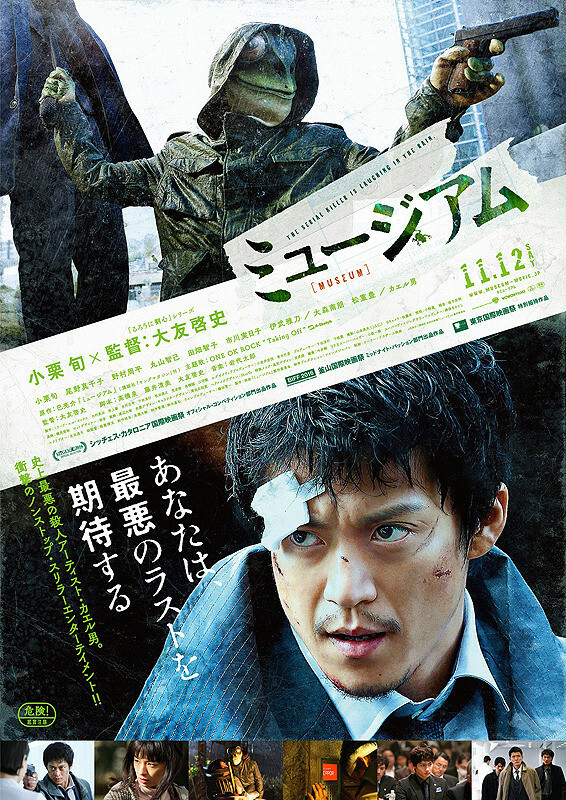 Movie is based on 2008 novel “Oke Rojin” by Gen Araki & directed by Toru Hosokawa. “Oke Rojin!” will be released November 11, 2016 in Japan. 2nd ep.1 trailer added for upcoming KBS2 drama series “On the Way to the Airport” starring Kim Ha-Neul & Lee Sang-Yoon. “On the Way to the Airport” first airs September 21, 2016 in South Korea. 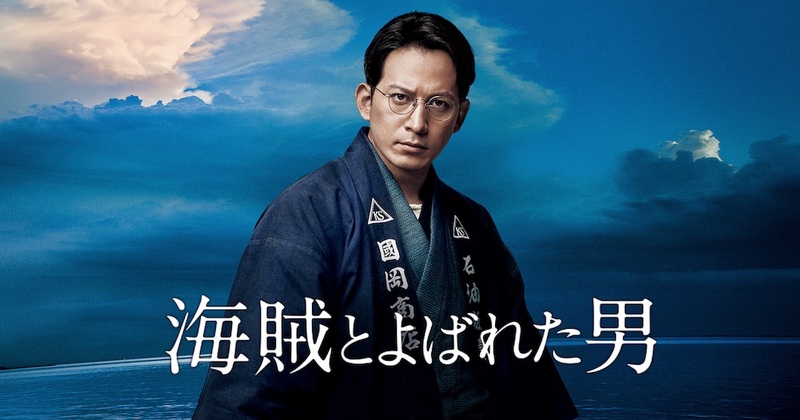 Main trailer for movie “A Man Called Pirate” starring Junichi Okada & Haruka Ayase. Movie is based on the 2012 novel”Kaizoku to Yobareta Otoko” by Naoki Hyakuta and directed by Takashi Yamazaki. “A Man Called Pirate” opens December 10, 2016 in Japan. Teaser trailer added for upcoming live-action film “P and JK” starring Kazuya Kamenashi & Tao Tsuchiya. 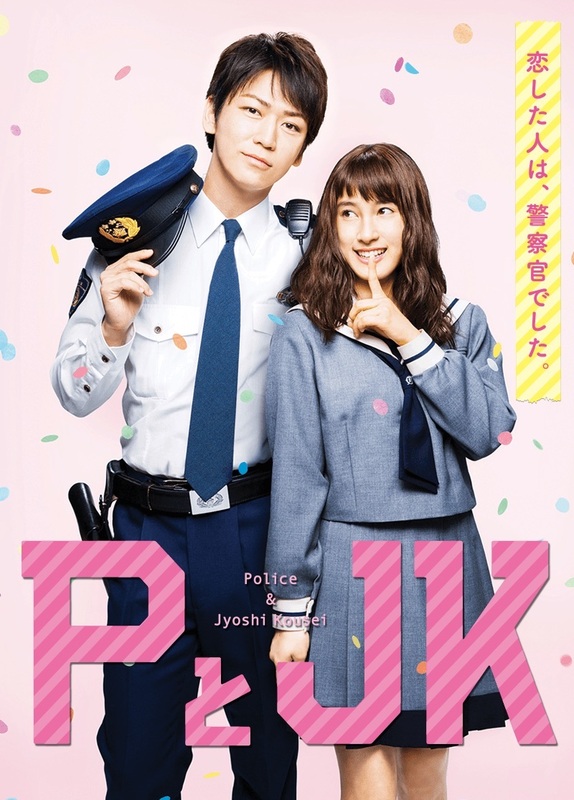 Movie is based on manga series “P to JK” by Maki Miyoshi and directed by Ryuichi Hiroki. “P and JK” will be released March 25, 2017 in Japan. Main trailer and poster added for upcoming live-action film “Museum” starring Shun Oguri and Shuhei Nomura. Movie is based on manga series “Museum” by Ryosuke Tomoe and directed by Keishi Ohtomo (“Rurouni Kenshin“). “Museum” opens November 12, 2016 in Japan. Teaser trailer #3 added for upcoming MBC drama series “Woman with a Suitcase” starring Choi Ji-Woo & Joo Jin-Mo. 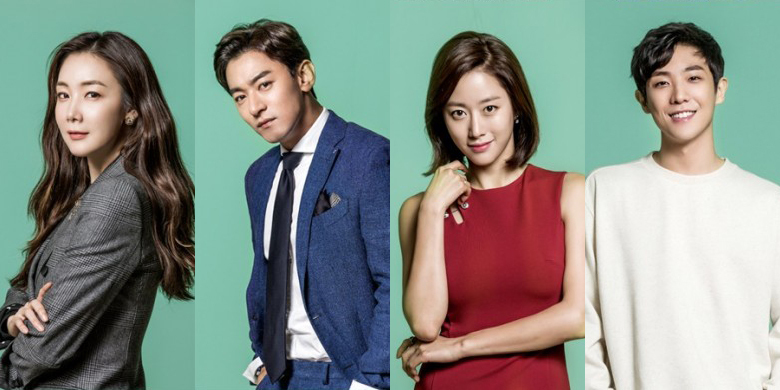 The character cuts above are of the main cast including Jeon Hye-Bin and Lee Joon. “Woman with a Suitcase” first airs September 26, 2016 in South Korea.